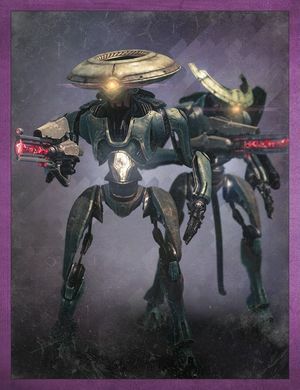 According to multiple Ghost analysis, these Vex are extremely old, in that they have been active for an incalculable span of time—indicating that they may very well have come from the future. Gorgons are also members of this collective. Following the death of Dominus Ghaul, they began to gather on Mercury alongside the Precursors, in order to unite under Panoptes, Infinite Mind. In Destiny, the regular Descendants all appear as Majors. Up until Destiny 2's DLC, Curse of Osiris, the Descendants had no known Harpies, Cyclops, or Hydras. Curse of Osiris fixed this problem except for the Cyclopses. Descendants are the only Vex faction that does not have Cyclopes.